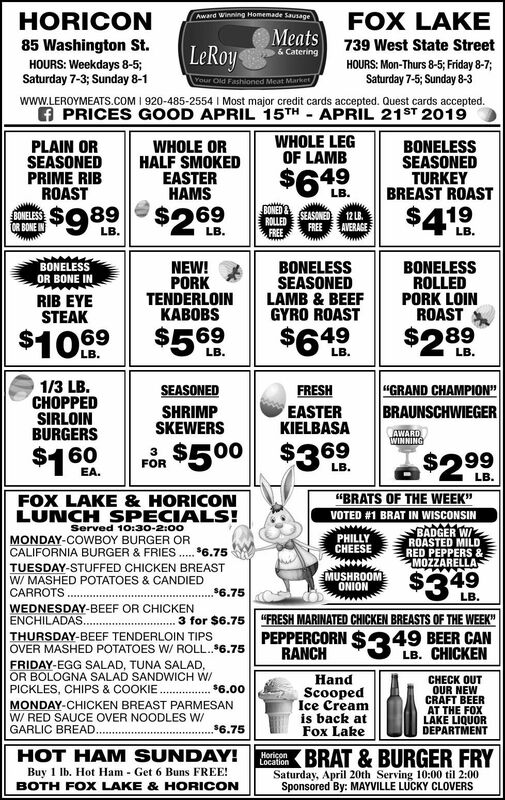 WWW.LEROYMEATS.COM | 920-485-2554 | Most major credit cards accepted. Quest cards accepted. Buy 1 lb. Hot Ham - Get 6 Buns FREE!